Shirley began by tracing the life of her maternal great-grandmother, Clara Eccles. After quizzing her mother, Shirley learnt that the version of Clara's life that had been passed down was of a "feckless party girl" who had abandoned her children and left her poor husband to die of a broken heart. As is often the case with family history research, the truth turned out to be far more complicated. 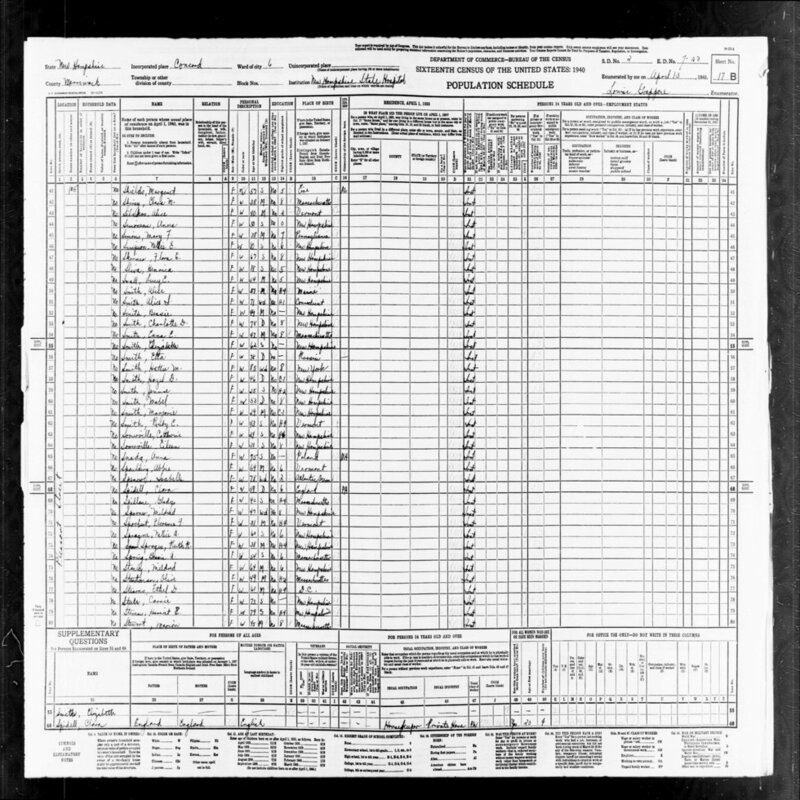 Just like many a researcher before her, Shirley's journey began with a marriage certificate that revealed Clara had married a man named George Sutton in 1903. Marriage certificates list the full names of both the bride and groom along with the names of their parents and are one of the essential building blocks for starting a family tree. Certificates can be ordered from the gov.uk website for a minimal fee using the details captured by our collection of England & Wales civil registration records. Shirley's initial research led to a surprising discovery as it was revealed it was actually George who had left the family. 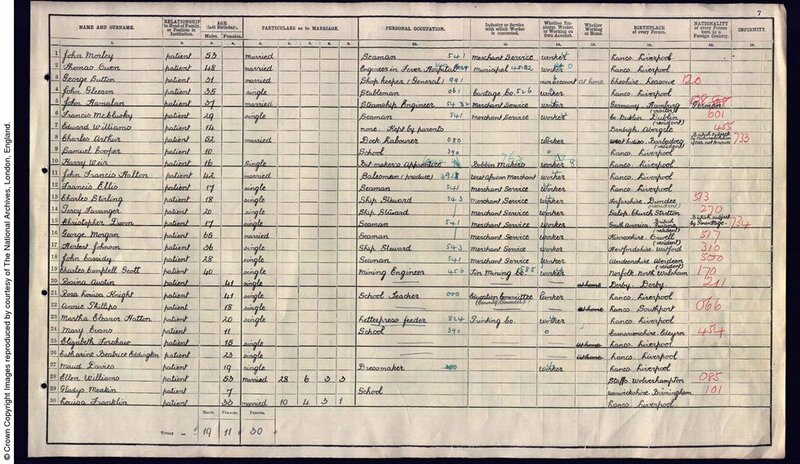 George moved in with his mother long before Clara headed for America and the 1911 census showed her living separately from her husband at 31 Shaw Street in Hoylake on the Wirral. Further records revealed George was not a well man and spent significant amounts of time in hospital before dying of cancer in 1916. 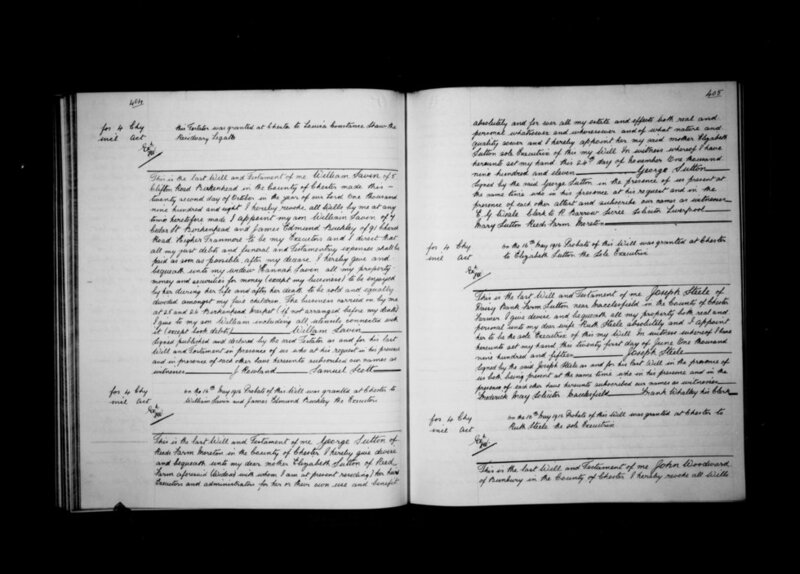 His will, which can be found in our collection of Cheshire Wills & Probate records, completely cut Clara out, leaving everything to George's mother who went on to raise the couple's three children. But what did Clara do next? To find out, Shirley returned to the marriage registers and found yet another certificate that led to more revelations about Clara's life. As it turned out, Clara had not fled to the United States to escape an unhappy marriage. She had actually traveled there as a married woman after remarrying as a widow in 1919 to a man named Arthur Spiddle. Sadly, the new life Clara found in America was not a happy one. Arthur was an abusive drunk who hospitalised his wife on numerous occasions. Clara eventually divorced Arthur after he gave her syphilis and spent the next 17 years in various institutions as the disease ravaged her brain, dying in 1947 as a result of syphilis induced progressive dementia. Shirley's discoveries shed an entirely new light on Clara's troubled life and left the star in tears. She left feeling a deep connection to her unfortunate ancestor who had been so unfairly tarnished by family lore, sharing "I'll carry this with me now for a long, long time. Clara holds a special place in my heart." Shirley spent the next half of the episode investigating her father's side of the family. 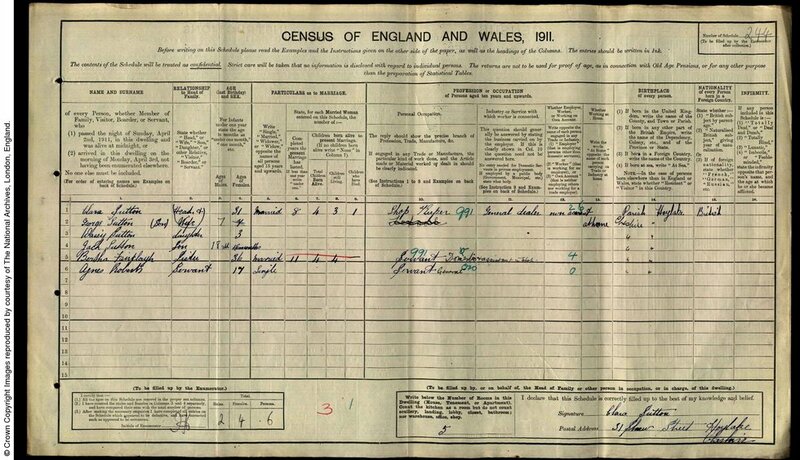 With information supplied by her aunt and the 1911 census, she discovered that her great grandfather, George Rich, was born in Cape Town. She then headed south to explore a variety of unusual South African records. If you think your British ancestors may have crossed the Atlantic in search of a new life, be sure to search our British and Irish roots collection. 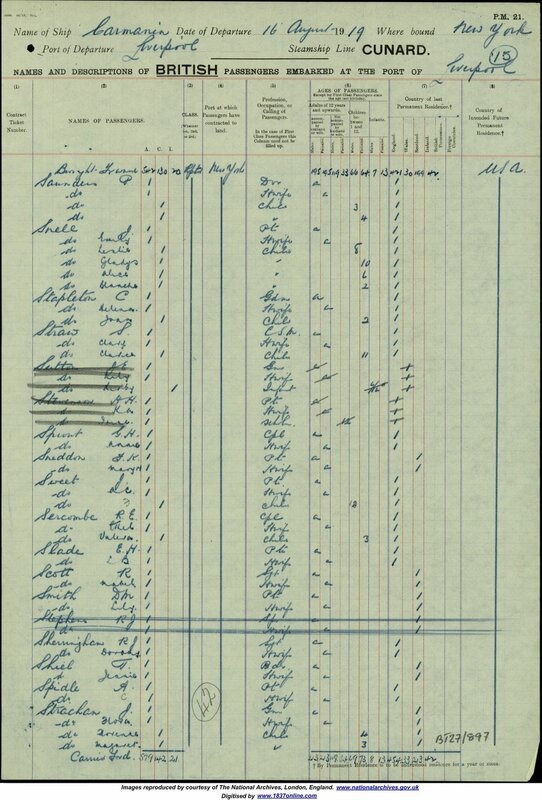 This unique collection, handpicked by Findmypast's in-house experts, brings together 98 million records that identify a British or Irish emigrant, including passenger lists, census records, naturalization applications, and draft registrations, vital records and much more.